No cutting is needed when you select the right stones for the right spot. Avoid overhanging edges that lead to stability issues when placed on the perimeter. The two toughest parts of building a dry-laid flagstone patio are placing the stones, and stabilizing them after they are placed. It seems like all the one page how-to's out there seem to leave the information out on how to do these steps. I built one of my first how-to module for this site a couple of years ago thinking I could explain building a flagstone patio in a few pages. The written text alone ended up being almost 20 pages. I scaled it down to 9 web pages in the end (roughly 15 text pages), and still didn't include anywhere close to the material I wanted to have. It lacked a lot of construction pictures because I lost a hard drive a few years ago. I'm pretty sure I could have shown you a few “What not to do's from my mistakes”. We have been working on improving it and adding some new pictures so hopefully you get a chance to read through it. I also learned 2 valuable lessons. Number 1- back up my files. Number 2- I realized why people only do 1 page how-to's on a skill that took me years to learn. Our how-to modules are a little more like a book form, and they aren't for everyone. The idea is to have people understand that building a flagstone patio could be a little more than they can handle. The ones that really want to build one will be a little more prepared, while the rest won't bite off more than they can chew. It can easily end up costing you more money in the end if you don't do it right the first time. A short time ago I put together (Advanced Flagstone Tips) as a 3 page mini module. It contained some advanced flagstone techniques that focused on buying stone, and working with the stones to build a level, and stable surface. We hope you get a chance to check this one out as well. We had some great feedback on it, and it is full of pictures and tips you don't find in any books. What we didn't get a chance to cover well enough was how to place the stones. lead me to writing this tips article about placing the stones. We have a few simple rules to follow that will make this much easier for you. After sitting down at my desk, I started to sketch the concept of placing stones randomly to fit together with 2 inch or smaller gaps. I am not an artist, but I hope you still get the idea. This is a simple and easy reference for laying flagstone naturally without having to cut them. For many people, this is why we choose flagstone in the first place. They want the look of a true flagstone patio as they appear in their most natural state. Take a look at the picture at the top of the page. 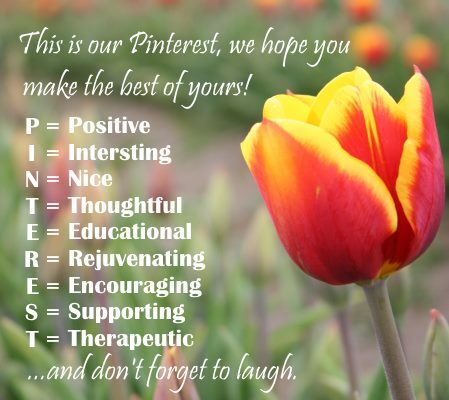 Here is a summary of some helpful tips. Lay edge stones first. Use larger more stable pieces. Close off the edges where the stones meet. Don't use small pieces at the edge. They are less stable and can be dislodged more easily. Always pay attention the the spaces that you leave for future stones. A stone may fit perfectly in the spot you are filling, but it may leave a awkward space for the next stone to fit into. Try to keep the gaps around 2 inches or less. This is for appearance, and for the effectiveness, and stability of the jointing sand. You will also have to learn how to work with the stones by using your chisel, brick set, and hammers. Practice makes perfect, but try to practice on waste pieces so you don't ruin the good ones. 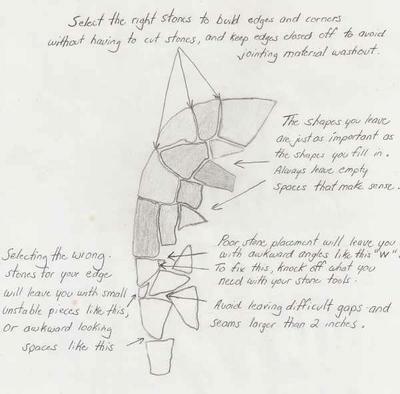 The better you are at placing, the less shaping you will have to do with your tools. The second picture at the top is one last tip for you. 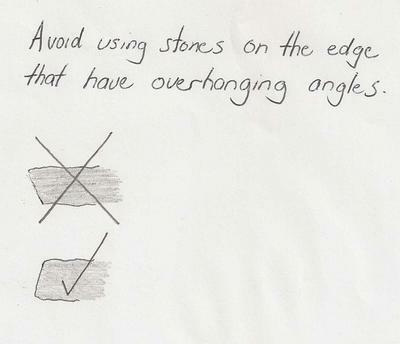 Never use a stone with a negative or overhanging angle for the perimeter. This can be “rolled” off the edge when enough weight is placed on the overhang. These should be turned over, or used inside the patio where they can be stabilized more easily. So we saved the best tip for last. BE PATIENT. It will take time. You will get out of it what you put into it. A rushed job will leave you very unhappy. So there are a few tricks of the trade regarding stone placement for a flagstone patio or walkway. I hope these tips help you with your project.